With all the excitement around HEVC and all the reports we have put out at Frost & Sullivan on the topic, we get asked all the time if MSOs should skip AVC and directly switch from MPEG-2 to HEVC. Why is this such an enticing notion and does the idea actually bear merit? To answer that question, first, some history is in order. Back in the nineties as North America transitioned to digital cable, MPEG-2 was the state of the art compression technology at the time. North America was ahead of the game even with HD and thus nearly all cable applications relied on MPEG-2 for SD and HD alike. But the industry paid a price for that early innovation – no sooner were they done with HD deployment than AVC broke onto the scene and fundamentally disrupted the video compression equation. Faced with a weak economical outlook (remember the dot com crash of 2002, anyone? ), and having just made major investments in HD rollouts, the cable industry was unable to take advantage, in a meaningful way, the benefits offered by AVC. In contrast, as Europe began to transition somewhat later in the game, they did use MPEG-2 for SD digital cable but predominantly use AVC for HD. Fast forward to 2013, when the growth of North American cable subscribers slows and IPTV is surging in popularity with its vast array of content and the lure of rich applications enabled by bi-directional connectivity. The writing on the wall is clear to MSOs –they can transition their primary business to broadband services, or they must dramatically reinvent themselves and the user experience they offer to remain relevant as mainstream Pay TV service providers. Wherein lies the rub – how do MSOs meaningfully and strategically invest in infrastructure that will ensure they are at state of the art over the next decade? AVC has matured since its early days, and state of the art AVC encoders can themselves offer twice the compression efficiency of first generation AVC encoders. Transitioning to AVC is the most obvious route to grow quality and/or quantity of Pay TV content without expensive expansions of bandwidth. (Arguably technologies like Switched Digital Video are also options, but let’s not complicate the discussion). The problem is, this is easier said than done. Consider the USA has approximately 56 million cable subscribers, with approximately 2 set top boxes per subscriber. Multiply that by a conservative $100 per replacement set top box, and the cost of transitioning end user clients alone exceeds a staggering $11B. Add to that the costs of truck rolls, upgrading head-ends, overhauling quality monitoring infrastructure, and more, and it’s easy to see why no MSO wants to do this type of systemic upgrade twice. Which brings us to HEVC. 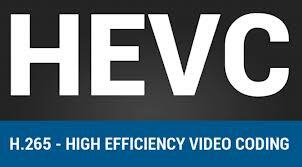 HEVC offers twice the compression efficiency of AVC: Well, yes and no. That’s the theoretical advantage, but practical encoders are only offering about 20-30% improvement on HD content and even less on SD content. That, by the way, is the same level of improvement that state of the art AVC encoders can offer over legacy MPEG-2 encoders at this point in time. Moreover, they can do this at a fraction of the cost, a fraction of the power consumption and a fraction of the rack space. Given that a large number of modern encoders are built-in software (even if they are appliance form factors) rather than rigid hardware, CAPEX is not in jeopardy if a service provider upgrades to an AVC encoder immediately and eventually soft-upgrades it to HEVC when that ecosystem is mature and ready. HEVC products are being released very quickly, and if I do not transition I will fall behind the curve: There’s certainly plenty of buzz around HEVC; it’s arguably the hottest hash tag at IBC this year. However, there is a difference between first generation products that are a must-have for pilot testing, and a mature product ecosystem that enables mainstream creation, monitoring, delivery and storage of a compression format form end to end. The AVC ecosystem is ready and available today, and costs are falling rapidly as commoditization sets in. The opportunity cost of waiting three years for HEVC products to mature needs to be weighed against the ability to cost-efficiently purchase and deploy AVC infrastructure immediately. UltraHD is coming, and HEVC is the key enabler: Again, yes and no. Certainly twice the compression efficiency is critical if you are quadrupling resolution. HEVC’s flexible transform unit size is ideally suited to compressing UltraHD content. However, there are catches. First, if a service is only deploying one or two channels in the short-term, there is usually enough bandwidth already available to achieve this via AVC. Second, there’s not enough UltraHD source content available yet to justify the deployment of content beyond – most likely – nature, sports and movies. If that. With global penetration of HD itself at under 33% despite the age of the technology, expecting a more rapid pace of deployment for new UltraHD technology is, well, optimistic. Third, there are gaps in the technology ecosystem – for example HDMI 2.0, which is necessary to enable full UltraHD rendering, has not yet been finalized. So UltraHD may be coming, but it’s not something that will happen as a mainstream movement tomorrow morning. The metrics behind these assumptions will definitely change over time, and the ROI that HEVC can deliver will definitely improve over time. While it’s clear that HEVC is a solid technology advancement and no mere flash in the pan, it is important to keep in mind that a mature ecosystem takes time to develop. By all means, MSOs must begin evaluating HEVC as a key technology component for future infrastructure. However, there’s little reason to consider jumping straight from outdated MPEG-2 to unproven HEVC. AVC offers concrete benefits immediately, and by selecting software-based products during this upgrade, MSOs can ensure long-term, future-proof returns on infrastructural investments. We’ve done a lot of work at Frost & Sullivan on the topic of HEVC and in addition to three reports analyst Avni Rambhia has already published, we’ve done a lot of private research on HEVC for clients. If you’re looking to get more details on HEVC technology, get copies of our reports, or need any custom research on the HEVC market, please feel free to reach out to me for more details.